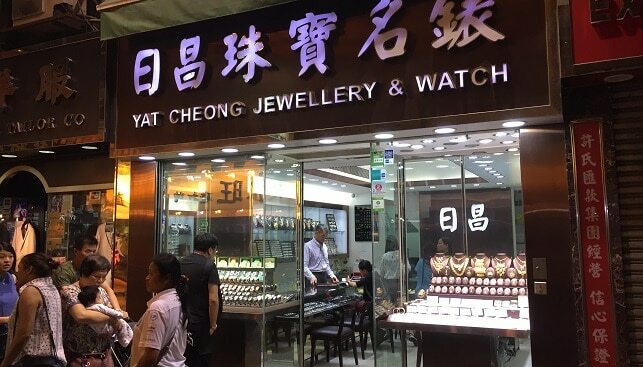 For the good part of 2018, sales of jewelry in Hong Kong and mainland China were significantly higher than they were during 2017, Rough and Polished reports. Between January and November, gold, silver and other jewelry items racked up sales in China that were 8.1% higher than figures for the same period in the previous calendar year. In Hong Kong, sales of clocks, watches and other high-value gift items increased by nearly double that figure, 16.1%, during the same period year over year. For China’s jewelry retailers, November 2018 was a month of increased sales over the same period the previous year. Hong Kong ’s jewelry retailers actually saw a 3.9% decline in year over year sales that month, but it followed a period of increased sales, with 3.2% growth reported for the month of October 2018.